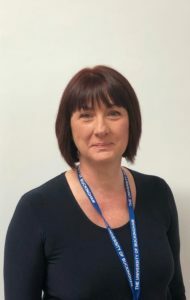 Alison Wood joined the School of Computing as Administrator on 1 April 2019. Her role is to support the Dean and Computing students with registrations, timetabling, examinations and booking appropriate rooms for lectures, tutorials, seminars and workshops. She will be the first port of call for lecturers and students with any issues/queries pertaining to their Degree programmes. Alison was born and educated locally; she comes from an IT recruitment and HR background which will assist her in providing a logical, considerate and empathetic administration support service to the School.